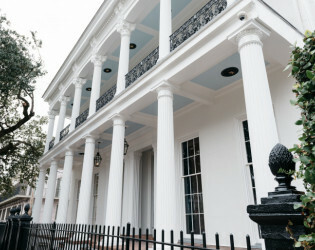 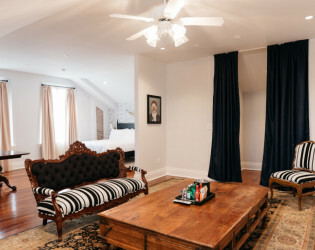 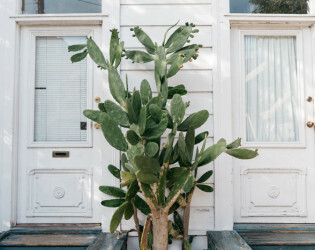 A stylish and unique boutique hotel that pairs old world elegance, modern comfort, and unparalleled Southern hospitality. 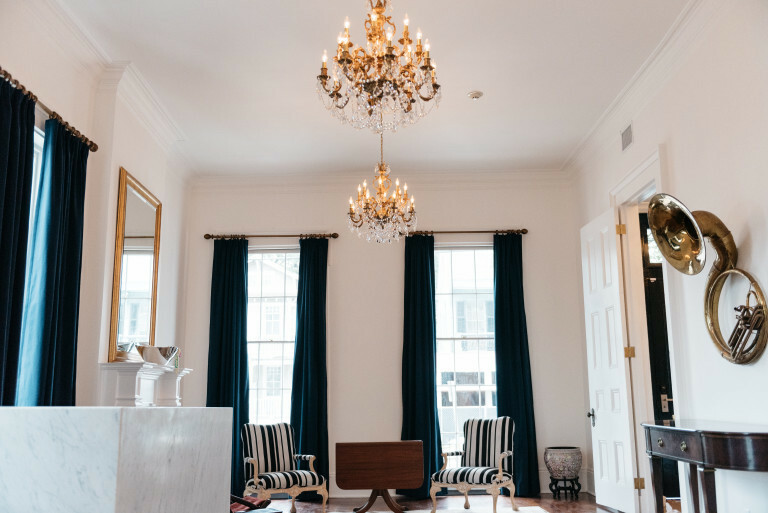 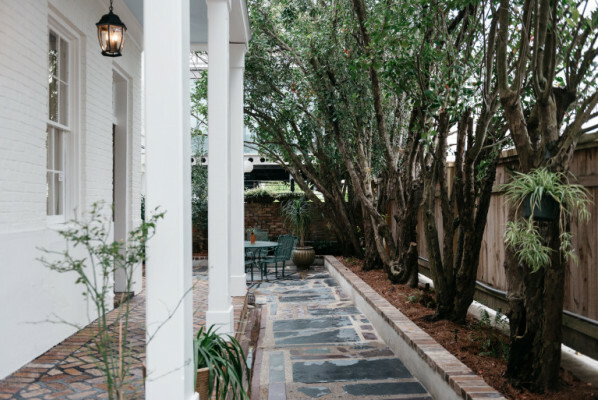 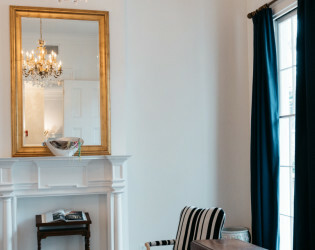 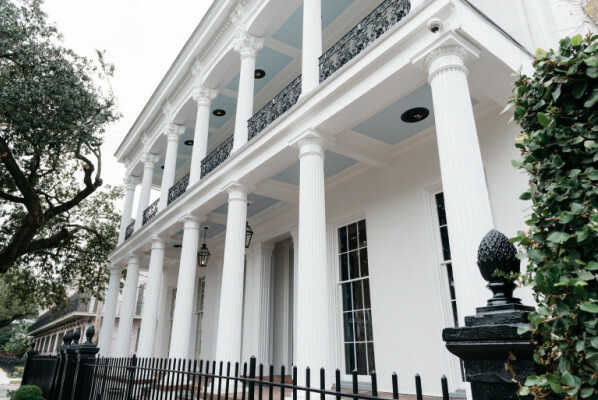 This 1867 historic mansion has been transformed into an 18 guestroom (including a Penthouse suite with 3 bed, 2 bath), service-focused luxury hotel, named after famed New Orleans architect, Henry Howard. 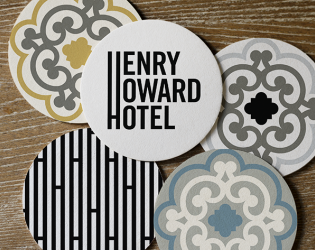 The Henry Howard Hotel is a stylish and unique boutique hotel that pairs old world elegance, modern comfort, and unparalleled Southern hospitality. 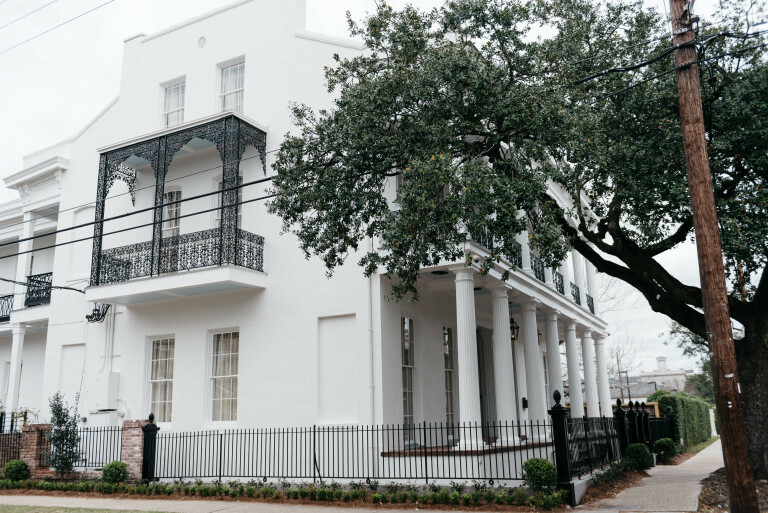 This 1867 historic mansion has been transformed into an 18 guestroom (including a Penthouse suite with 3 bed, 2 bath), service-focused luxury hotel, named after famed New Orleans architect, Henry Howard. 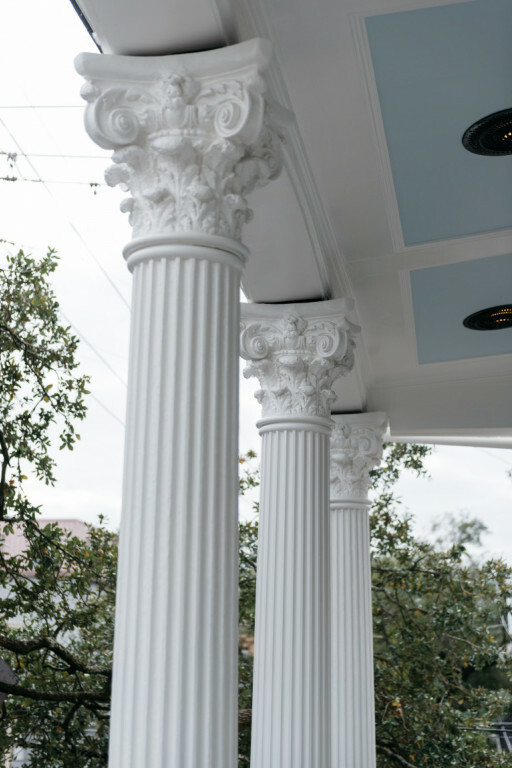 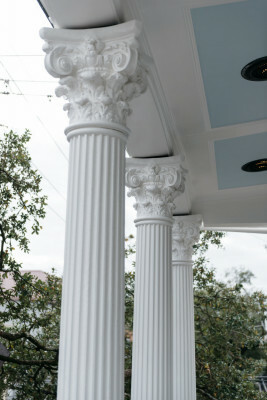 The building has gorgeous galleries with walk-through windows and Corinthian columns. 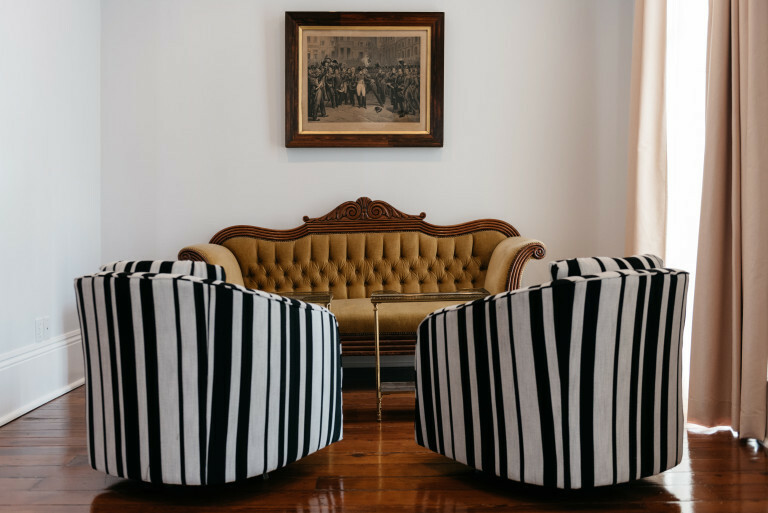 The recent renovations maintain the integrity of the building's great architecture, while adding contemporary flair and modern amenities. 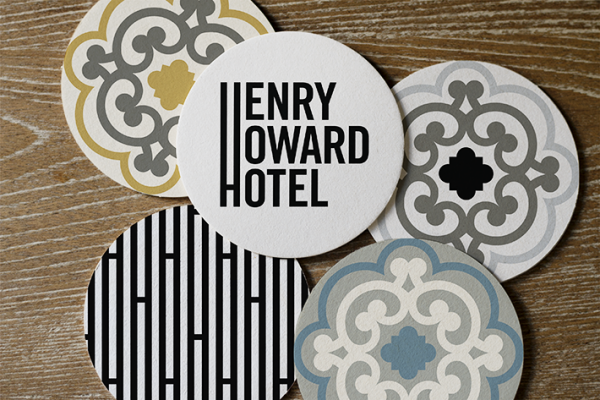 With its sprawling common areas, the Henry Howard Hotel is an ideal location to host special events and parties. 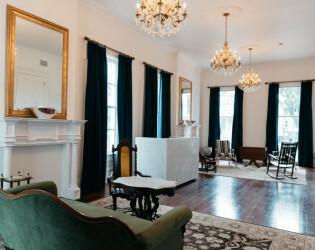 The hotel’s Parlor, with its 12-foot ceilings, floor to ceiling windows, crown molding and red pine flooring, will set the scene for a variety of affairs, from seated dinners to cocktail parties. 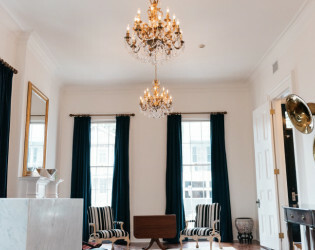 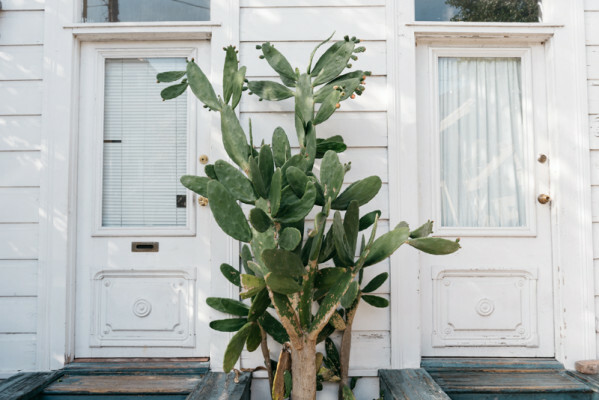 The backyard courtyard is fitting for an intimate wedding or social gathering, while the Penthouse Suite will double as a hospitality suite to host bridal gatherings or small groups. 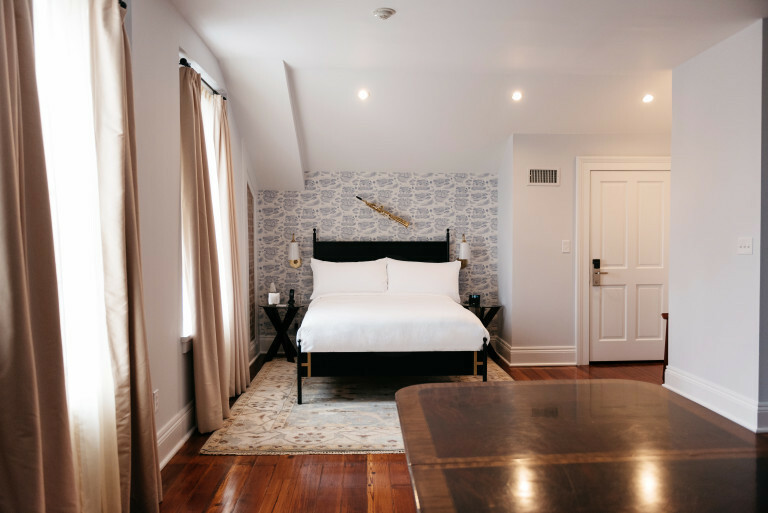 18 guestrooms, including a Penthouse suite that doubles as a hospitality suite with 3 rooms, 2 baths, and an entertaining area. 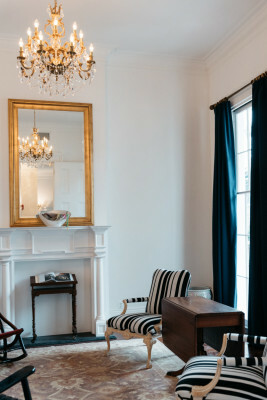 Room 106 has the building's original stove fireplace and it's huge! 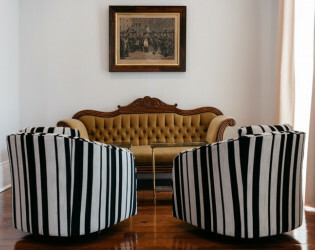 We have huge ceilings so the hotel feels very grand when entering! 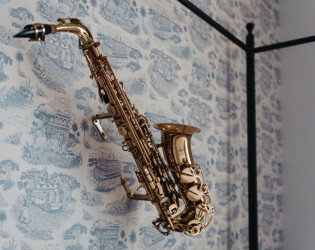 Check out the sousaphone in the Parlor. 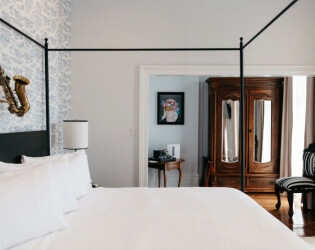 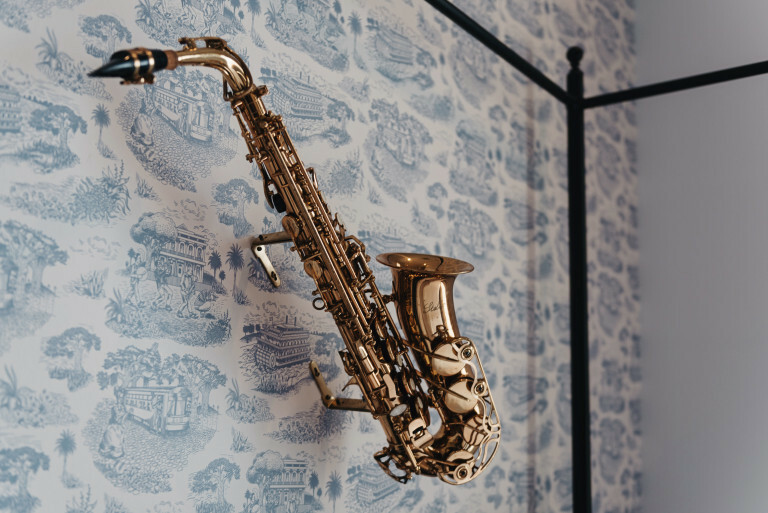 Look closely at the custom toile wallpaper showcased in every bedroom that has unique New Orleans elements such as the Henry Howard Hotel, the steamboat, and the St. Charles streetcar. 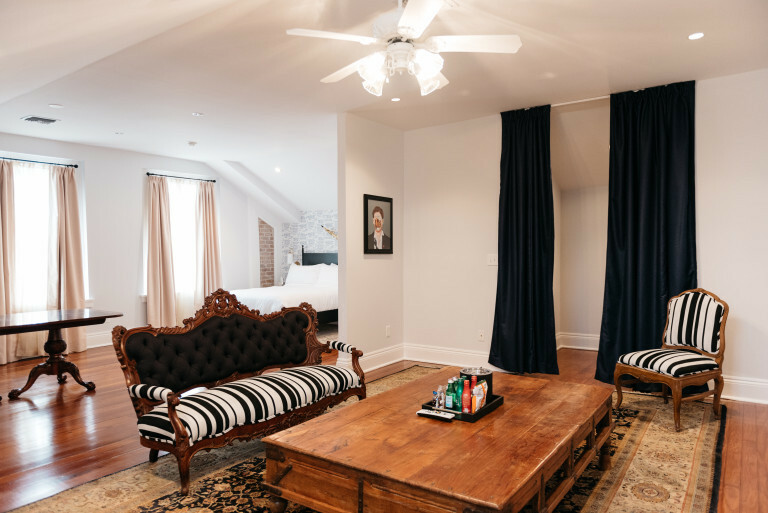 Each room is curated with vintage and custom-designed furniture and commissioned artwork by local artist, Hayley Gaberlavage. 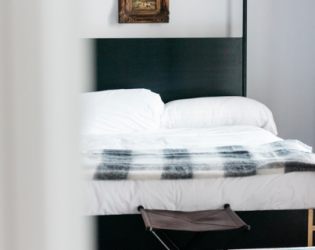 Another local artist, Doorman Designs built custom iron beds that showcase an H on the frame, a nod to our name. 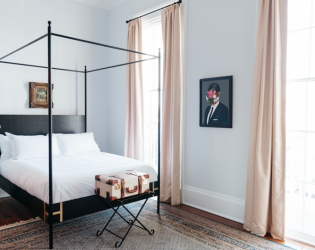 There is an instrument from a second line band hanging above the bed in each room and throughout the Parlor. 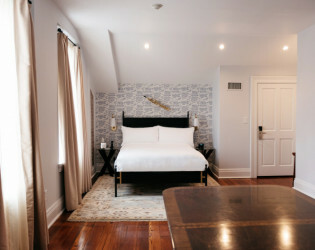 If party buysout the hotel guestrooms, no venue fee is charged. 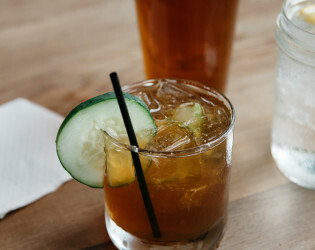 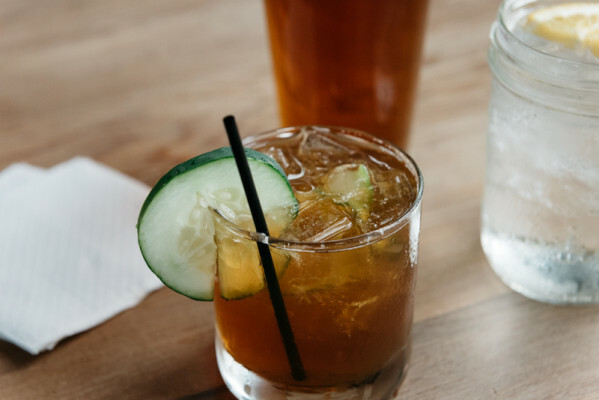 The Parlor has 12-foot ceilings, floor to ceiling windows (2 that open out to walk out onto front porch), beautiful red pine flooring, and a bar! 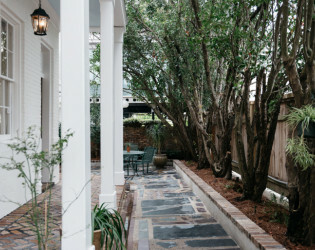 Small courtyard tucked away at back of hotel, with trees surrounding two sides. 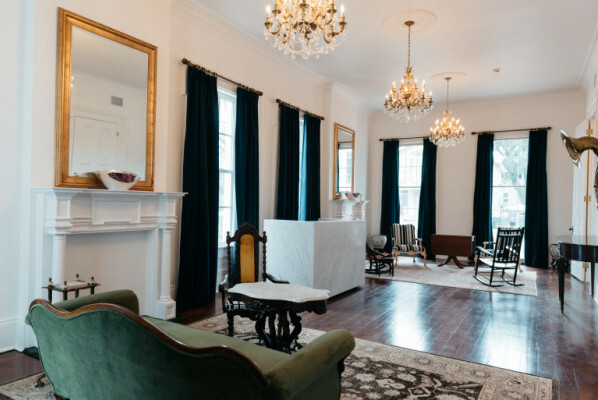 The hotel’s Parlor, with its 12-foot ceilings, floor to ceiling windows, crown molding and red pine flooring, will set the scene for a variety of affairs. 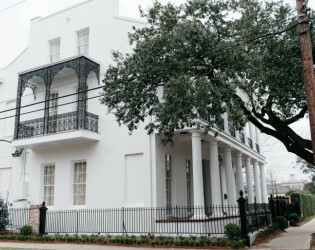 The hotel is named after famed New Orleans architect, Henry Howard. 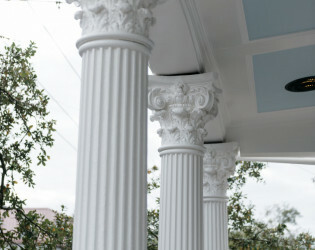 The building has gorgeous galleries with walk-through windows and Corinthian columns. 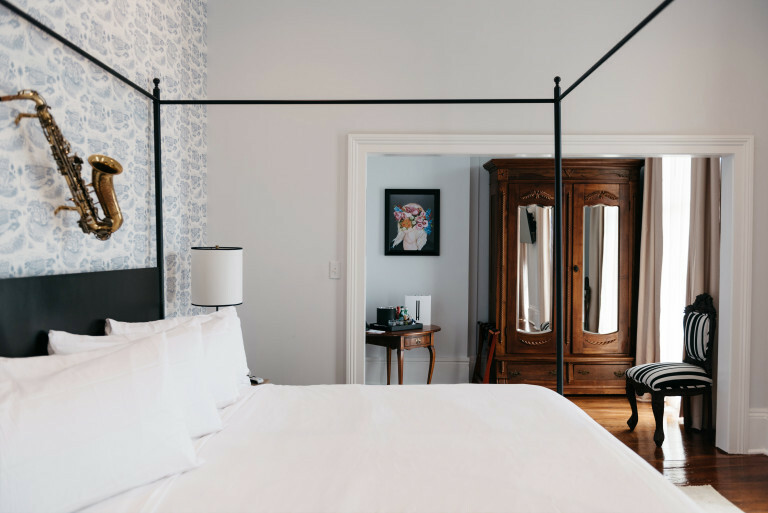 The recent renovations maintain the integrity of the building's great architecture, while adding contemporary flair and modern amenities. The Penthouse Suite will double as a hospitality suite to host bridal gatherings or small groups. With its sprawling common areas, the Henry Howard Hotel is an ideal location to host special events and parties. 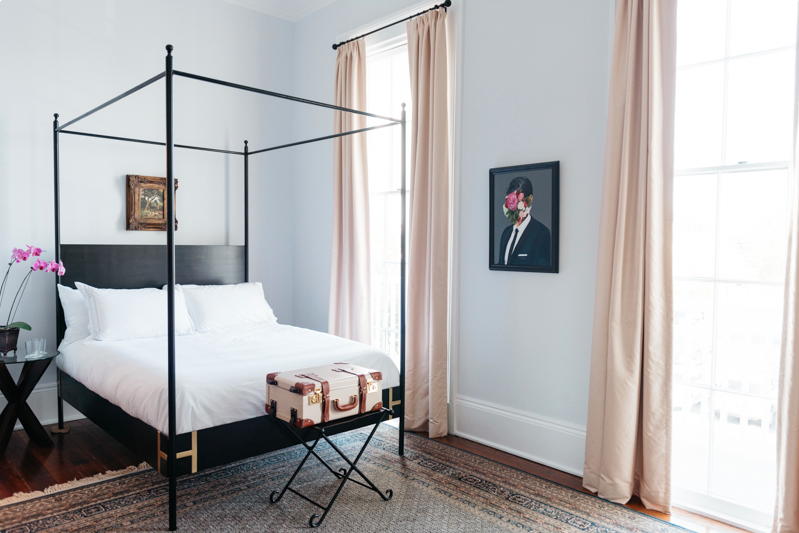 Look closely at the custom toile wallpaper showcased in every bedroom that has unique New Orleans elements. 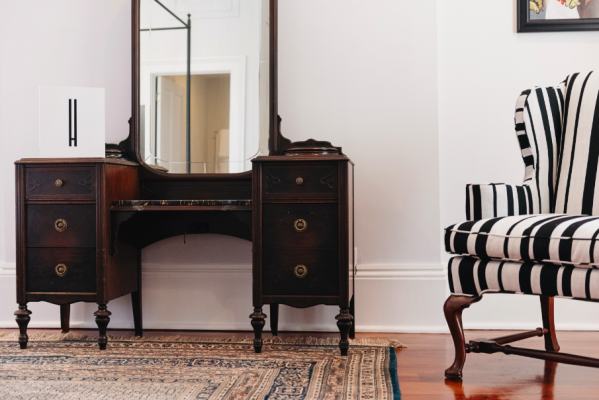 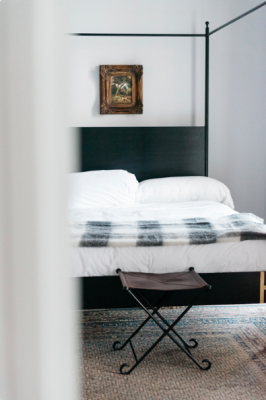 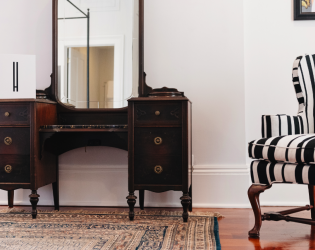 Each room is curated with vintage and custom-designed furniture. This 1867 historic mansion has been transformed into an 18 guestroom service-focused luxury hotel.